Traditionally at a wedding, everyone attending signs a book for the couple as a keepsake. Honestly, very few couples ever go back through this book more than once or twice. Today when many couples begin planning a wedding, they choose to do something a little more creative than the classic guest book. When your wedding guests sign their names to something that you enjoy looking through often or can display in your home, you will get a lot more use out of it. 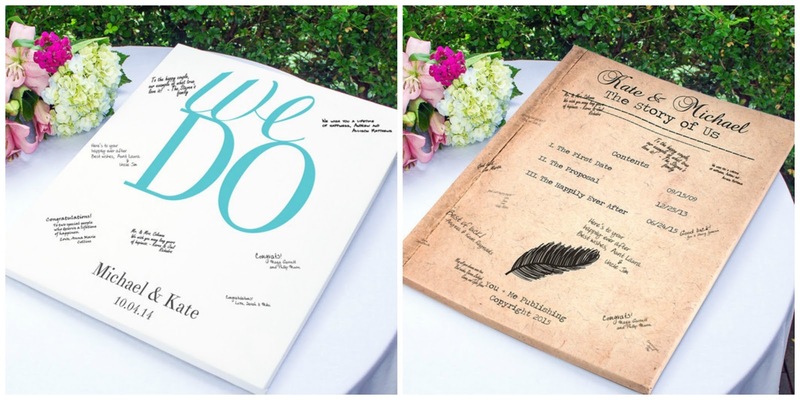 Each time that you see your creative guest book, it will bring back glorious memories of that very special day. Painted canvases are very popular with brides and grooms. There are a lot of great prints out there to use for a wedding. It can be something that matches the theme of your wedding, a romantic picture, a whimsical drawing, or anything that you would love to have hanging in your home. You can have all of your wedding guests sign an item to be displayed on a shelf, or even something that can be used later by the two of you. Ceramic plates can be displayed throughout the year, then you can use it to serve a romantic meal for two every anniversary. A serving tray would look beautiful on your coffee table, and it would be a great conversation starter. If you have all of your guests sign quilt squares, you would have a happy reminder of your wedding every time you cuddle up together on a chilly night. If the two of you both love boating, have everyone sign a life preserver. Music lovers can have everyone put their name on some old vinyl records. Puzzle pieces would make a very unique guest book for anyone that loves to play games, or you could also get signatures on Jenga pieces. Think about the things that you love to do together as a couple and you are bound to find an item than is big enough for your wedding guests to put their names on. You will definitely want to put a few of your favorite wedding photographs on the wall once they come back from the photographer. 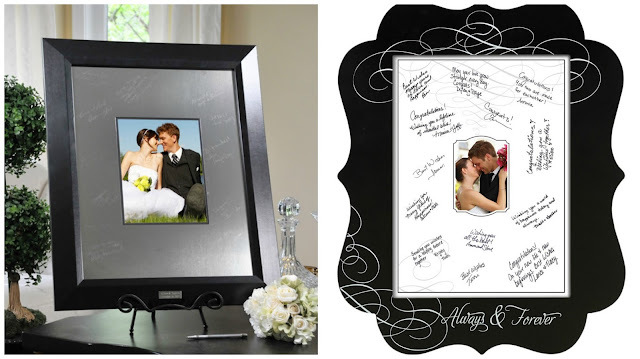 Search for a beautiful picture frame and let everyone at the wedding sign the matte that will surround the photograph. This is especially great if you are having a fun photobooth at your reception. Put a photo album on a table along with some pens to write messages and photo-safe tape to add the pictures with. If you don't want to rent a photobooth, set a Polaroid camera on a table and let your guests snap their own pictures to add to the photo album. When it comes to creative wedding guest book ideas, you are only limited to your own imagination. WhereBridesGo.com is a great place to start looking for wedding planning inspiration. 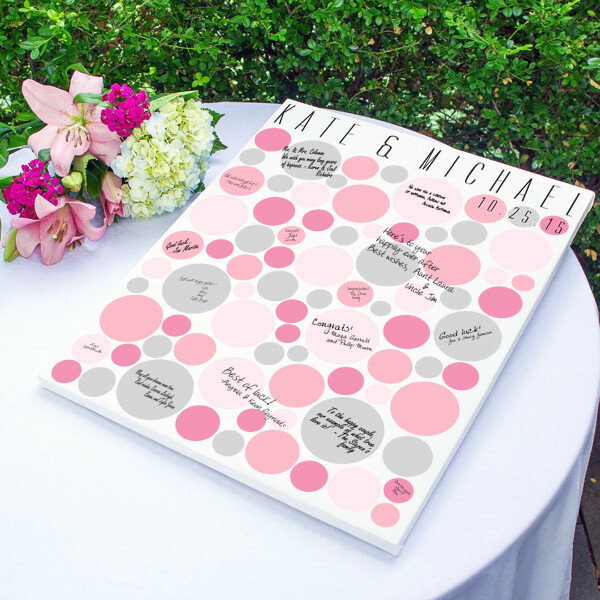 Whatever you end up choosing to use as your wedding guest book, it is sure to be something that the two of you will treasure for years and years.